The sixth edition of UK’s Tech Fest is here! This year offers a very promising line-up with some of the most prominent tech bands out there. It is a must go this year, no excuses accepted! The fest itself is fairly new (2011/2012) and while it started as a one-day event it has now grown to be a full throttle 3-day camping fest. The fest will be held at Newark Showground in Nottinghamshire which is about 1,5h from London via train – not too far. You can check more commuting details here. 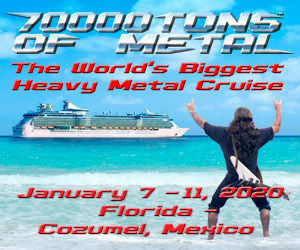 What is even more amazing about this fest is that the organizers have made it possible for everyone attending the festival to see all the bands – there will be no clashes between the main and second stages. This fest will be worth your every penny. The fest organizers have already released the full line-up, leaving one secret headliner to be announced (July 6th). 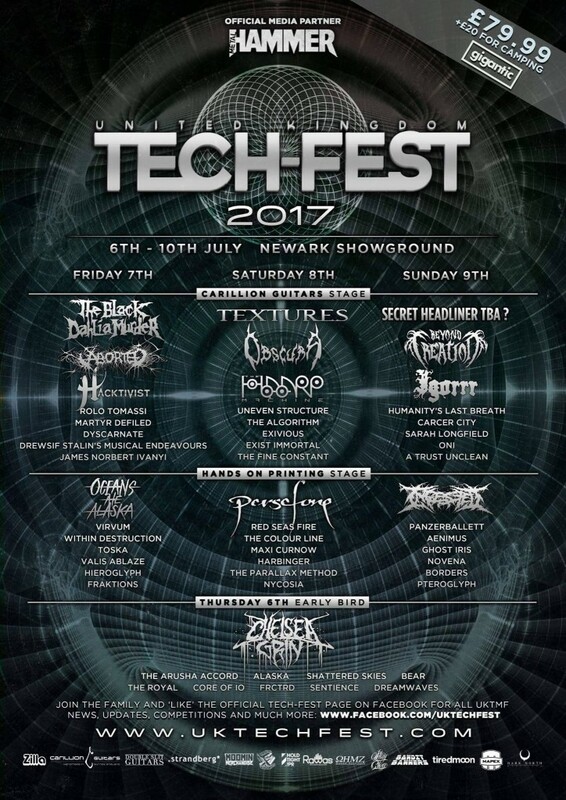 The Faceless were supposed to be part of this line-up, however, they canceled all their EU dates a few weeks ago. Let us hope the secret headliner will make it up for this annoying shocker. 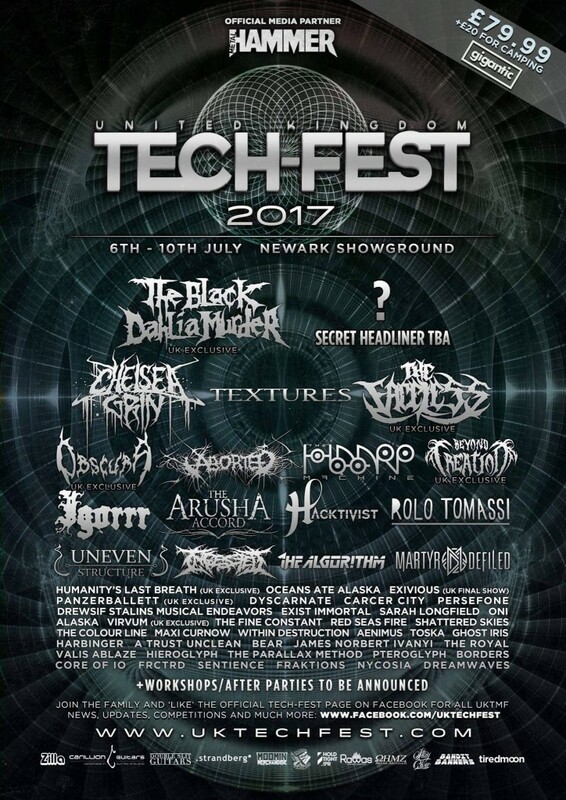 Now, time for the truth – below you will see the official Tech Fest 2017 Line-Up poster following the 3-day band split. Tickets for the fest can be purchased here and range from £33.00 (one day pass) to £109.99 (full weekend + camping). You can also expect some workshops and after parties to be announced closer to the festival dates. Stay tuned and we’ll let you know as soon as the info becomes available.